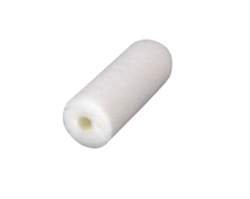 We would like to introduce ourselves as the marketing partners of Angisponge, Absorbable Gelatin Sponge.ANGISPONGE is sterile, gelatin based foam, intended for application to bleeding surfaces as haemostatic during surgery. 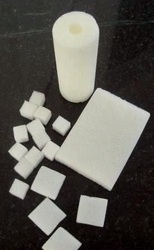 It is fast, safe and effective haemostatic sponge having well established clinical safety profile.ANGISPONGE is manufactured from highly purified gelatin (collagen derived protein). It is biodegradable (metabolised by proteolytic enzymes). 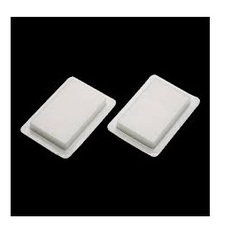 The product is gamma sterilized.This preventsblood loss from the deeper wounds and predominantly provides clean surface for the surgeons in Dental oral surgery ,General surgery, Neuro- surgery, Ortho Spine surgery ,Cancer surgery and ENT surgery.Absorbable haemostatic gelatin sponge can be applied dry or moistened with sterile physiological saline. We wish to inform you that ANGIOSPONGE is CE approved. In order to cater the variegated demands of our special client, we are offering a wide range of Absorbable Gelatin Sponge. In order to cater the variegated demands of our precious clients, we are offering a wide range of Absorbable Gelation Sponge. In order to cater the variegated demands of our precious clients, we are offering a wide range of Absorabale Gelatin Sponge. 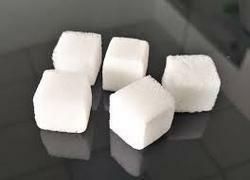 In order to cater the variegated demand of our precious clients, we are offering a wide range of Absorable Gelatin Sponge. In order to cater the variegated demand of our precious clients, we are offering a wide range of Absorabale Gelatin Sponge.